The benefits of early and solid education in the arts, particularly theatre arts, in producing a well-rounded, cultural society are clear – but emphasis on creativity, critical thinking and collaborative skills especially apply to all fields in the 21st century workforce. AATE strives to raise the awareness of the importance of theatre education and provides its members with services and resources to support the profession of theatre for young people. In 1944, theatre and education visionary and Northwestern University professor Winifred Ward called for teachers from all over the country to form the first national committee of its kind—The Children’s Theatre Conference – for sole purpose of raising and maintaining a high level of theatre education in America’s classrooms, as well as theatre for young audiences in the nation’s children’s theatres. Though the organization has made many changes over the years, including its name, the mission begun in Evanston so many years ago still rings true. Today, based in DC, AATE continues to advocate for arts education, serving as a national co-sponsor of Arts Advocacy Day on Capitol Hill. 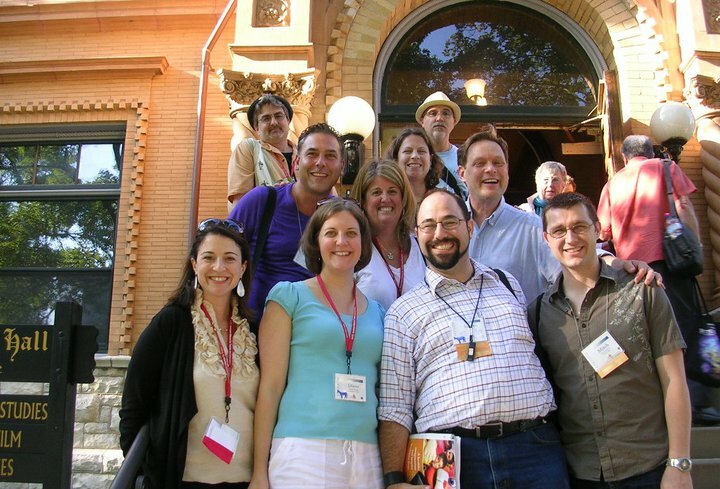 AATE co-authored the National Standards for Theatre Education K-12, sits on the Arts Education Partnership steering committee, the Arts Education National Advisory Council and serves on the editoria board of the Arts Education Policy Review. In collaboration with 5 of the country’s largest arts education organizations and the Partnership for 21st Century Skills, AATE co-created the 21st Century Arts Skills Map. While other national organizations offer artists and educators specialized training such as teaching theatre in a classroom setting, or creating art with a specific community, AATE sparks dialogue across specializations. AATE attracts three distinct audiences – artists, scholars and educators – which allows for the cross-fertilization of ideas, sharing and networking rather than a homogeneous regeneration of knowledge. AATE demonstrates the powerful intersection of how high art enhances education and vice versa. AATE represents artists, educators and individuals at the forefront of education, and advocates for tested arts education pedagogy and the infusion of the performing arts in the classroom. AATE believes that educators with artistic interpretation and techniques can change the way they create their own lessons, which in turn transforms the lives of the young people they teach.